All my friends know that I absolutely love adorable plushies/figurines. When I see cute ones in toy shops, I just simply cannot stop myself from picking them up to play. And to think I am turning 23 this year. Haha. I can't roll over when I sleep because half my bed has been conquered by my precious soft toys. 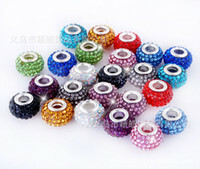 Once, I tried to clear the not-so-cute ones and after much selection, I only managed to get rid of 10%. Needless to say, the well known Hello Kitties are also part of my fascination with cute figurines.What's not to love about Hello Kitties? 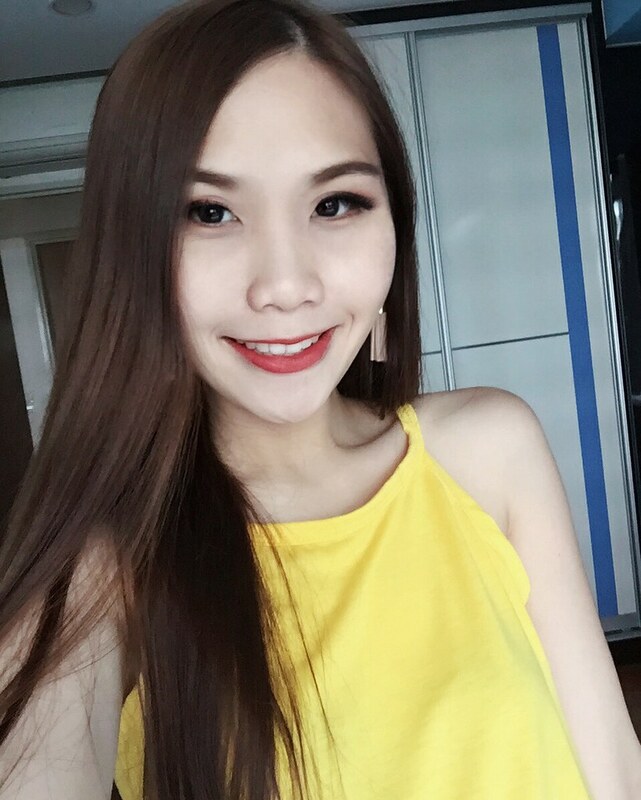 Feminine, innocent, and absolutely adorable! However, what happens when you mix Hello Kitty and Tokidoki, the street fashion pop art lifestyle brand that is also very popular? 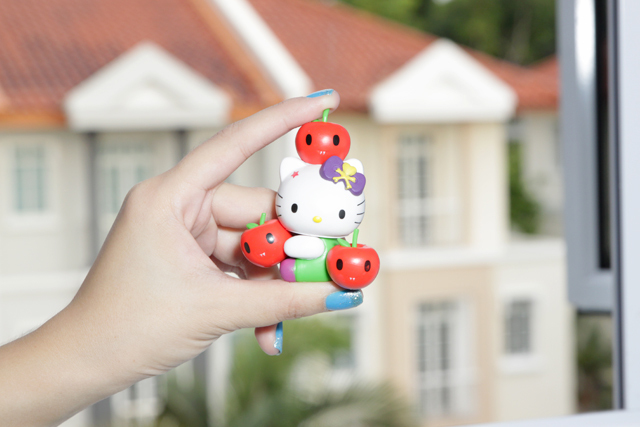 If you are a fan of both Hello Kitty and Tokidoki, you must be eager to know where you can get these. Well, it's just round the corner. Yes, at 7-ELEVEN, the 24/7 convenience store around almost every corner in Singapore! Let me share more about my love for 7-ELEVEN first! I love that it is open all day everyday and you can find almost anything in there! Whenever I need something and I see 7-ELEVEN round the corner I knew I found it. I like the bright lights and how everything is arranged neatly and easy to find. I also love how 7-ELEVEN not only provides convenience and fast service, 7-ELEVEN also rewards its shoppers with awesome promotions like the one I'm going to share below! 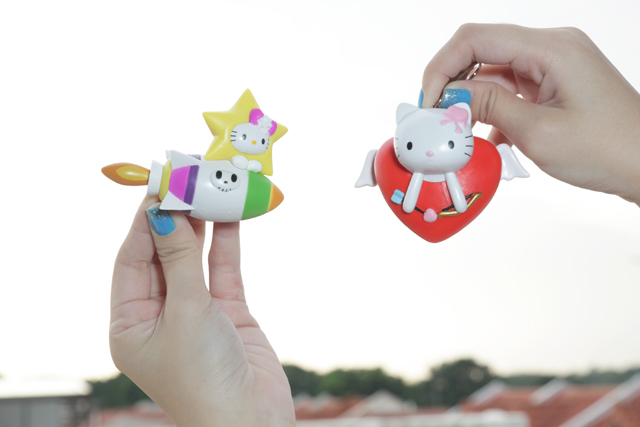 7-ELEVEN is collaborating with Hello Kitty X Tokidoki to bring you this set of collectibles that are brand new images of Hello Kitty, not found anywhere else! I was so excited and happy when I found out I would be getting the whole set, because I really like Hello Kitty and it was indeed interesting to see this different side of Hello Kitty! 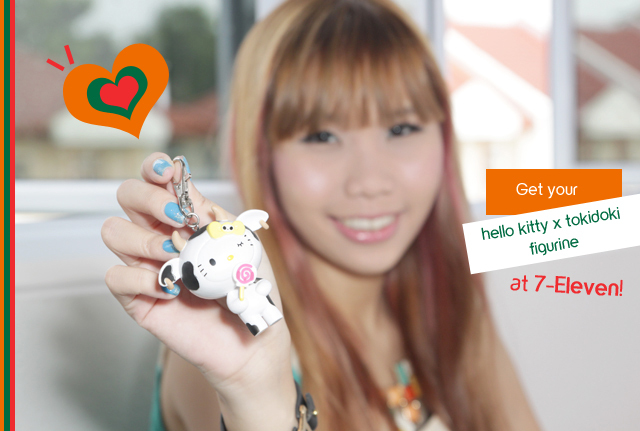 Here are some photos from the Hello Kitty X Tokidoki launch at 7-ELEVEN that I attended with other bloggers! Was also very tempted by the Soya Sauce Chicken Rice that I went down to the 7-ELEVEN near my house the next day to have it for lunch. Haha. Photo with the other bloggers and the super cute Kitty balloon mascot! To make collecting stamps easier, look out for the star products because you get maximum of 2 stamps issued with every $4 purchased! These are all items that you may get to use daily, so maybe drop by 7-ELEVEN on your way to school/work every morning? In no time all 10 figurines will be yours. Here are the 10 interesting figurines and their names. Did you realize that they are in colors of the 7-ELEVEN brand? My favorite out of all these are the Cactus Kitties, Unicorn Kitty, Ciao Kitty and Cow Kitty. I also like Rocket Kitty! The figurines are LIMITED EDITION and exclusively sold at 7-ELEVEN! There's no where else you can get your hands on these. I usually dislike cactus because of the painful pricks but these are too cute. Anyway, I have a collection strategy to share. Activate/Pester your family and friends to get every item they need from 7-Eleven and then give you the stamps! Haha! This way you increase the chances of completing the full set in a shorter time! Some are ornaments, some are key chains which you can hang on your keys or bag and bring them everywhere! 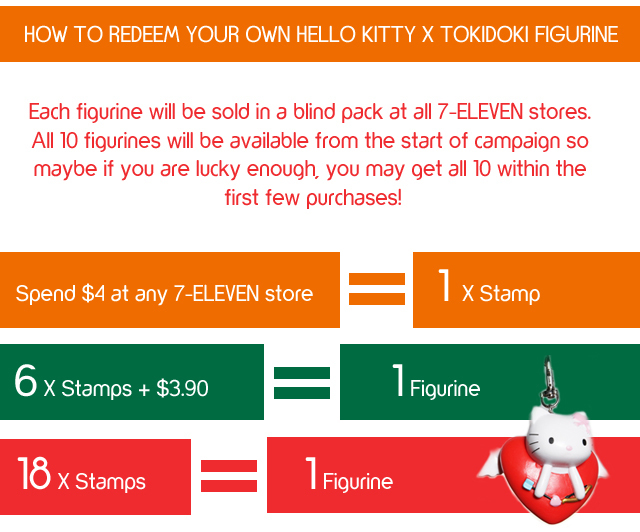 Start your Hello Kitty X Tokidoki Figurine collection at 7-ELEVEN now! can I check with you if you got extra for the scooter ride kitty? 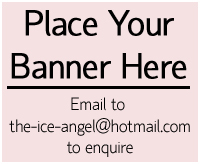 Cos I been trying but always cant get it..Can I buy it from you if you got extra?